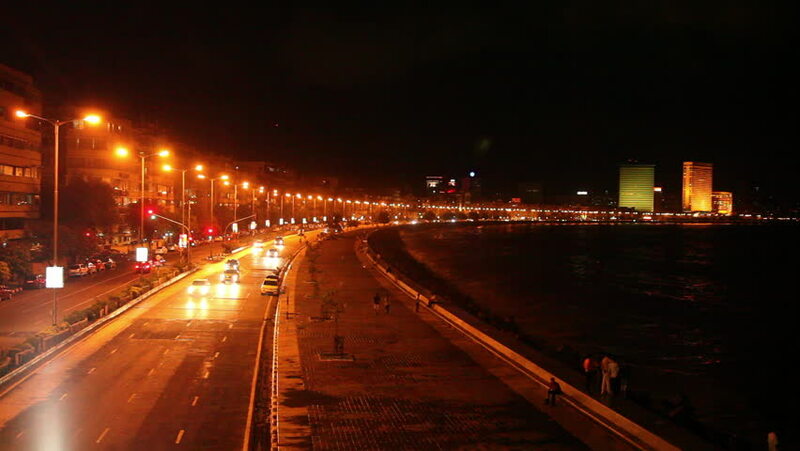 Mumbai is a city that never sleeps and that’s why it’s glorious to hang out around the city at night. With a number of options for every budget (and some which are free), you and your friends will surely find some great spots around the city where you can relax, enjoy the company and even dig into some tasty food and drink. 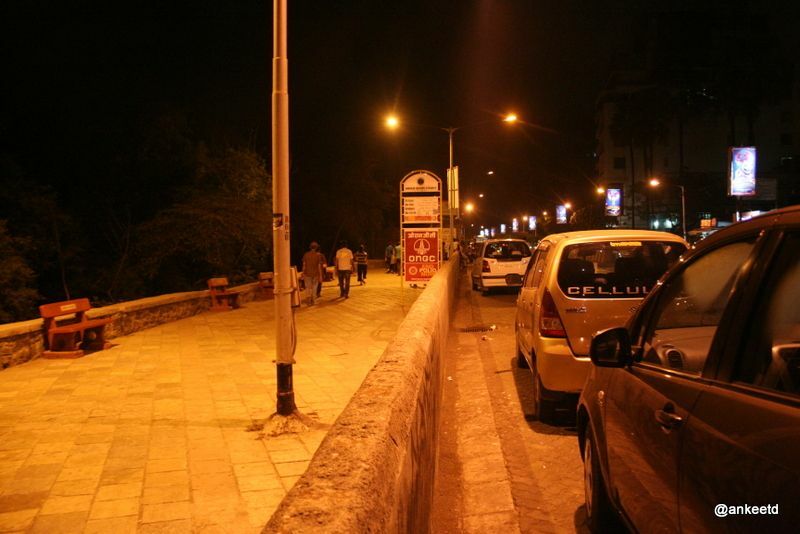 So, if you want to know some of the best places to hang out at night in Mumbai, look no further than this list. This is one of the city’s most popular hangout joints and sees people jogging, grabbing a cup of coffee or simply walking, late into the night. It’s a great spot to visit post 9 pm and there are a number of eateries you can check out here as well that are open till 1:30 am. This iconic stretch is bustling late into the night with families, couples and large groups hanging out. There are a few stalls and roadside vendors you can grab a bite at. But the view of the city is quite stunning from Marine Lines, especially at night. The beach doesn’t come highly recommended for swimming. Even so, a visit here at night will not disappoint. You and your group can chill out on the sand or take a walk to enjoy the quiet. The food stalls are opened till late as well, which makes it a must-visit spot. This is a typical Mumbai late-night experience. This popular ice-cream parlour is frequented by those going for late night drives or for dessert post-dinner. They have a good variety and the strawberries and cream, when in season, is a must have. One of the city’s cutest cafes, if you’re in South Mumbai, this is a must visit place for a night time coffee and dessert. Their macarons are the most famous in the city and the ambience is inviting and chilled out. This gem can be found in Juhu and it is an ideal place to hang out with friends at night. It offers a nice dining ambience and buffets as well as lovely coffee. The hot chocolate here is highly recommended! If you and your friends are looking to grab a bite after a night out, Bademiya will hit the spot. They offer some of the tastiest kebabs in the city and now boasts of ample seating, so you can eat your meal sitting down instead of on the go. There’s nothing like good friends and good food, and this bustling food lane is best visited in a large group. Here you will find biryani, nalli nihari, quail, shawarma, kheema and lots more. During Ramadan it is open till the wee hours of the morning. With many outlets across the city, this is one of the most popular night time hangout spots in the city. With great food and good music, it makes for the ideal place to visit with a large group of friends. Do try their cocktails. If you’re looking for the ultimate hangout spot at night, nothing beats the beer, pizza and relaxed vibe of this café/pub. It’s good for large groups and is quite reasonably priced. If you and your friends are looking for the most happening place in the city to hang out and dance the night away, visit Trilogy. This club sees guest DJs come from across the world to play here.With a wooden bar, glittering staircase, gigantic dance floor and VIP sections, this place is a must visit at night. If you want to party in style, then this Mumbai nightspot is a must visit. They play great dance music and have some of the best cocktails in the city. Do grab a table by the window for a stunning view of the city at night. For a fun night out with friends under the stars with the best hospitality, visit this beautiful rooftop club that offers some delicious drinks and an even better view of the city. It is also a happening spot with celebrities frequently visiting here. This is a great option for a fun night out with friends. Here you and your pals can sit around and chat and enjoy some live music. And to add to the fun, you can visit the restaurant or the wine and mozzarella bar for a bite to eat. This ultimate fun hangout zone is best enjoyed at night as you pretty much have it to yourself! There are a number of games for all age groups including bumper cars, air hockey, football and even a café that serves a number of kid-friendly food items. They even have go-karting. One of the best places to hang out at night is on a cruise and you can do it right in Mumbai. Book a boat ride on Boat Booking India and take to the seas with your friends as you enjoy the stunning view of the Mumbai skyline at night. This bustling part of the city is the perfect place to hang out at night. Here you can see the Chhatrapati Shivaji Terminus (CST) in all its lit-up glory, as well as a stunning view of the Gateway of India with the boats dotting the sea. These are some of the best places to hang out at night in Mumbai. Let us know about your experiences in the comments section below. 20 Best Road Trips From Mumbai for a Great Memory!